From tub-to-shower conversions to complete bathroom remodels, Luxury Bath of Raleigh specializes in creating beautiful, custom renovation solutions to fit your unique needs. Our Raleigh bathroom remodelers have over 50 years of combined industry experience and expertise, which makes them capable of handling any-sized bathroom remodeling project. Using our innovative acrylic liners, we can offer quick and easy alternatives to those dingy shower cubicles, worn out tubs, and outdated tiled walls. With stunning natural finishes, such as slate, travertine, granite, stone and marble, in a variety of colors, your Raleigh bathroom remodel will look and feel elegant and stylish. Bathroom Renovations – We proudly offer full-scale bathroom renovation services that can completely transform the look of your home. 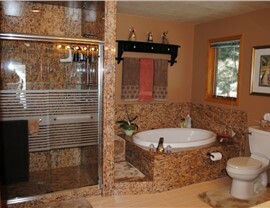 Master Bathrooms – A master bathroom can easily be made into your own private spa getaway. Learn how with Luxury Bath of Raleigh. Bathroom Vanities – No matter what style you're hoping to achieve, our custom bathroom vanities combine form and function. Bathroom Countertops – We offer countertop options in a variety of styles and materials so you can customize your bathroom with ease. Bathroom Flooring – Flooring can make or break your bathroom remodel, so tie the room together perfectly with the help of our pros. 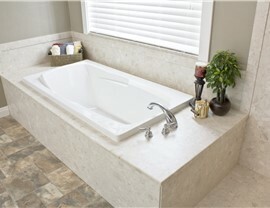 Bathroom Surfaces – Luxury Bath offers customization for bathroom surfaces that are unrivaled by any of our competitors. Bathroom Conversions - Have you finally found the home of your dreams—except for its outdated or less-than-stellar bathrooms? Tub to Shower Conversions - If you’d like to significantly upgrade your bathroom space without committing to a major renovation, then Luxury Bath of Raleigh has the perfect solution for you. Microban – Thanks to the Microban protection and our high-molecular non-porous acrylic, our products not only look beautiful but are free of mold and mildew too. 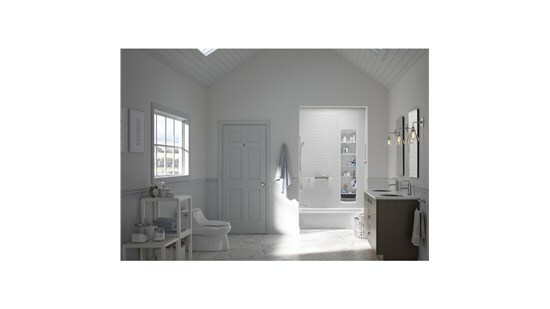 A great looking bathroom is a crucial element in any home and a place where we can spoil ourselves in luxury. 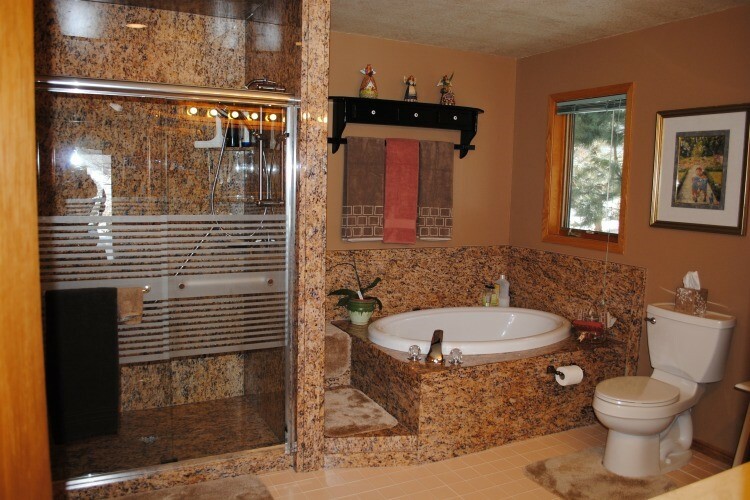 Trust in our Raleigh bathroom remodelers to turn those dreams into a reality without all the hassle of a messy demolition and weeks of inconvenience. Thanks to some pretty impressive technology that we’ve perfected, your existing tub, shower and walls can be fitted with custom acrylic liners in no time at all—eliminating leakage and making mold and mildew a thing of the past. 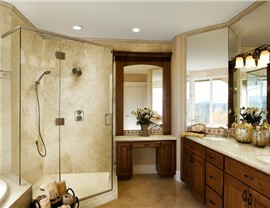 Let our bathroom renovation services provide you with all the styles you love and the features your household requires. 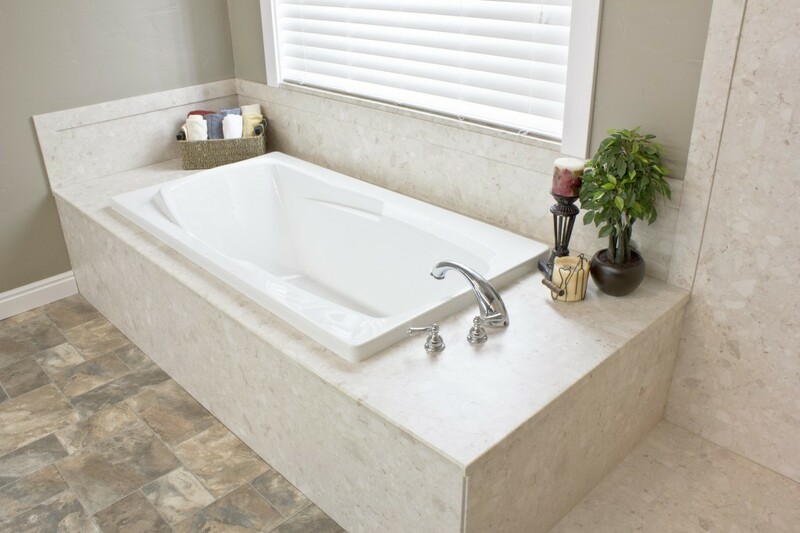 Give Luxury Bath of Raleigh a call or fill out our online form to learn more about our services or schedule your in-home consultation with a design expert.